Imhotep Charter’s Jamil Riggins walks to the foul line in last season’s 61-48 defeat of Camden High at Woodrow Wilson High. 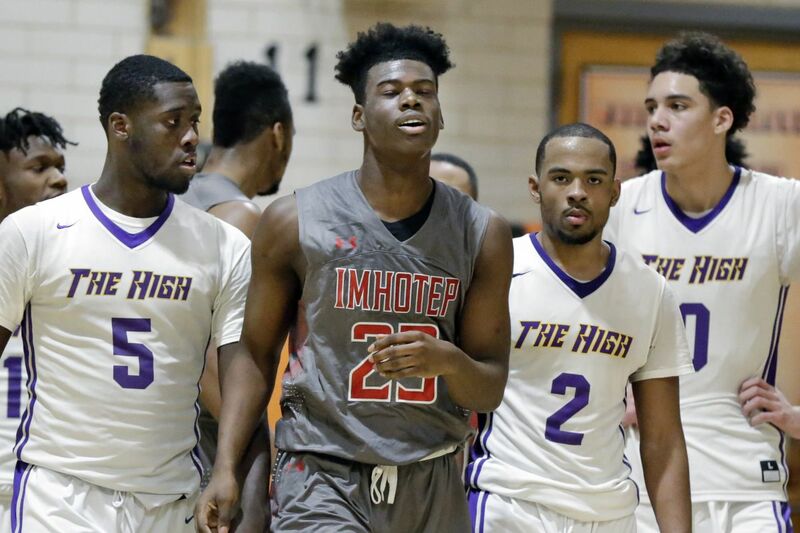 Imhotep Charter senior forward Jamil Riggins announced his commitment to Binghamton on Wednesday. Last season, the 6-foot-6, 190-pounder helped the Panthers go 31-2, claim the Public League championship, and earn the program's sixth PIAA state title. Riggins, who plays AAU ball for Philly Pride, was a third-team all-Public League Independence Division selection.